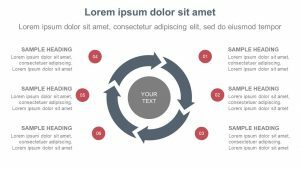 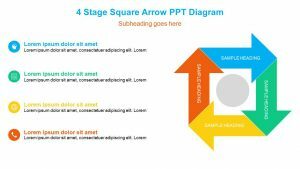 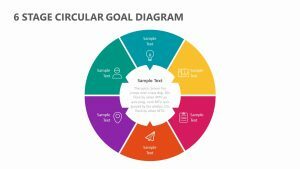 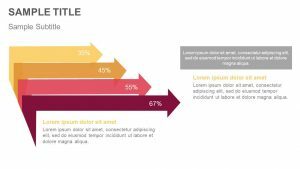 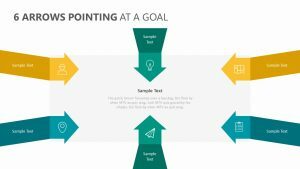 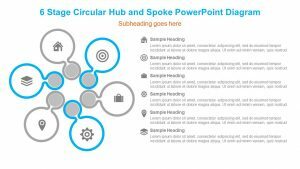 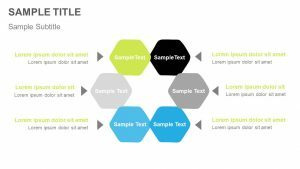 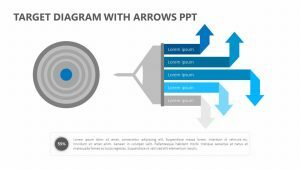 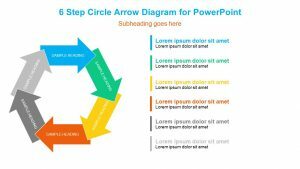 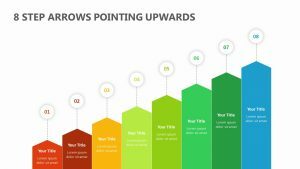 Talk about the steps that need to be taken in order to reach a goal with the 6 Steps Circular Thin Arrows PowerPoint template. 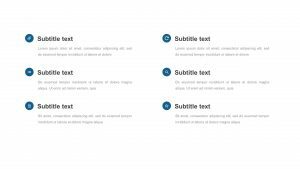 This template features eight, fully editable slides that you can customize to your liking. 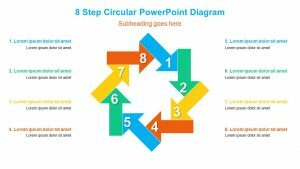 In the center of the main slide, there are six different icons. 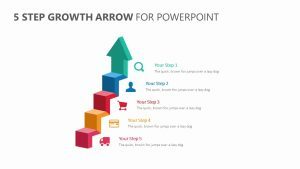 Each of the icons has colors associated with them and they translate over to the information on either side of the image. 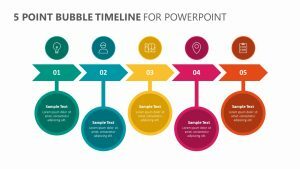 You can edit the colors and edit in the necessary text that your presentation needs. 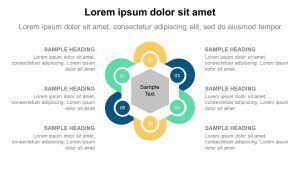 Elaborate upon each point when you click on each to isolate it.